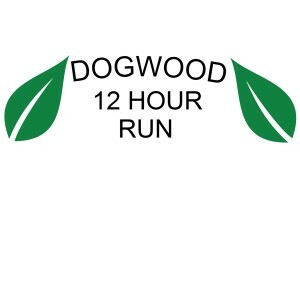 Welcome to the Fourth Annual Dogwood 12 Hour Run! The race will be held on Saturday March 31st, 2018 at Twin Lakes State Park. The race is named in honor of Virginia’s state tree, the flowering dogwood. Come run as much or as little as you want over the course of 12 hours. T-shirts will be provided to all participants. Prizes will be awarded to 1st, 2nd and 3rd place runners for males and females. 50 milers awards will also be presented. This year’s race will continue to feature a 10 mile option for those runners who wish to tackle something a little more manageable. A 12 hour relay option has been added this year as well. Teams of 2-6 runners may tackle the entire 12 hours switching each loop. Team members may be male or female. There will be one fully stocked aid station at the start of the race with all the food you need. Space will be available for drop bags at the starting line as well. Tell your family and friends to come out and enjoy a great run and a great state park! The race is sponsored and organized by Virginia Adventures LLC. We are a local, veteran owned outdoors company devoted to helping runners experience the outdoors. The race will be limited to 100 runners. There will be no waitlist. If you have questions about the race, please e-mail the race director. The last day to register and be guaranteed a t-shirt is March 17th. Registration closes on March 28th.